Taking Y3T For A Test Drive: Week 3! Well the week has finally arrived. My Yoda 3 Training experience is in the final stages and the time has finally come for "Total Annihilation." This week is supposed to be a totally different experience from the first two weeks of the three week cycle. I am chomping at the bit to get into the gym and find out what is going on with Week 3. Let's do this! 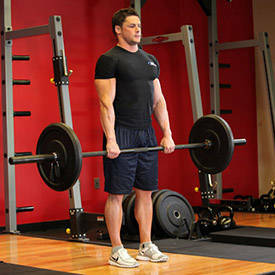 My other articles cover what the Y3T training system is and how the first two parts of it work. 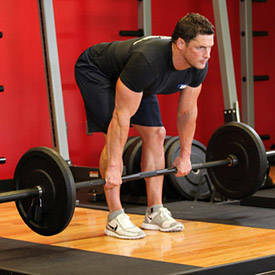 As you have probably read before the system is the creation of popular training guru and pro bodybuilder Neil Hill. Neil is in charge of the programs for some of the biggest stars in bodybuilding including Hidetada Yamagishi and James "Flex" Lewis of Gaspari Nutrition. Neil himself is with both Gaspari and Muscular Development. In short, Week 1 is only compound movements for 2-3 sets of 6-8 reps. Week 2 covers three heavy, basic compound movements and one isolation movement for 3-4 sets of 8-10 reps. Week 3 is the big and intense week that Neil calls "Total Annihilation" where you use many different techniques and movements to exhaust the muscle group in a short amount of time with little rest in between the sets. Week 3 is what I am doing now. Once again, I trained this week with the same plan for both pre and post workout. One hour before training I had breakfast which was oatmeal and one scoop of ON 100% Whey Protein (this week I had the French Vanilla Creme). 30 minutes before going to the gym I took USPLabs' Jack3d and ON Opti-Men multivitamins. During each workout I had Scivation Xtend (Apple) ready to drink in between the sets. Finally after training was done, I took GENR8 Vitargo (Orange Flavor) and two scoops of the 100% Whey so I could recover quicker and better. Also this week I added 1000 mg of Vitamin C from Ultimate Nutrition. I would have a chicken salad about one hour afterwards. I am still focusing on the upper pecs just like the first two weeks so the first two movements and the last one were incline. I wanted to move through this quick and with intensity. If anyone reading this saw me in the gym and tried to talk to me sorry I didn't respond because I was focused and I knew training like this would require 100% intensity and concentration. 2 warm up sets of 15 reps with 1 plate on each side. Then 3 rest pause sets of 15 reps, with 2 plates on each side. Note: I rested for a five count with the pauses and for 45-60 seconds in between each set. 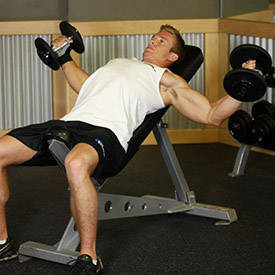 Note: Same as with the presses, five count on pauses and no more than 60 seconds rest in between sets. 3 drop sets of 15-20 reps, with 2 chains around my neck. Note: I dropped a chain on the first drop and the other chain on the second drop and finished with my own bodyweight. I rested 45 seconds in between each set.. Note: I went all out on this. I did rest pause again only I went until I got to 100 reps. I don't remember how many times I paused but by the end I was only getting doubles and triples in between. I used 60 pounds on the machine. This took me about 30 minutes to accomplish and by the end I was spent. Normally I do a little cardio after training, but today it wasn't going to happen. I felt like I did cardio already with the weight training. If this is any indication of what the rest of the week will be like then I am looking forward to every minute of it. Now back is one of the muscle groups I really wanted to focus on. I feel it is one of my weakest areas and I intended to change that with Y3T. Supersets are going to be the focus today as I want to hit my lats from every angle possible and super setting in my opinion will help a lot. Note: I rested for 45 seconds in between each of the three sets and I used 130 pounds of the stack. That may seem light, but I wanted to squeeze on each rep so I sacrificed weight to do that. Note: I used 145 pounds and rested for 45 seconds again in between each set. As with the rows, I wanted to squeeze on each rep. The pump I am feeling in my lats is unreal. Note: Once I hit failure I just kept the elbows in and cranked more reps out until I hit failure which was usually around the 10-12 rep mark. I used the 40's for these and rested 45 seconds. Note: I tried to do cardio but after 15 minutes I was spent so I called it a day. My lats were so pumped that I was having trouble changing shirts. This may have been one of the best back workouts I ever had. The lat workout took 28 minutes. By the way, the Xtend was a life saver today. I know I couldn't have done as well without it. Normally I do legs on day 3 but I know that the soreness is going to be unimaginable so I am doing legs on day 5 so I have two days to rest and recover. Nonetheless the delt workout was very intense and quick. This took me a little over twenty minutes. followed by partials to total failure. Note: I didn't even count the partials. I rested for 60 seconds in between. Note: I used 30's on these and rested for 45 seconds in between sets. I put a twist in the workout by doing side delts last. This was the one I was waiting on most of all. Not just because I like training arms either. The workout I am showing you was given to me by Weider and Nutrex athlete Zack "King" Khan, who is a protoge of Neil. I was honored that Zack was so willing to show me this and wanted to know how I did. Note: I did 105 followed by 85 and then 65.
followed by 3 drop sets of 8-10 reps each. Note: I used 45's, then 35's and finally 25's. I rested for 60 seconds in between each set as Zack prescribed. This was an insane workout and the arms were pumped for a long time afterwards. I had trouble flexing at the end of the workout so it had to have been good. I knew this was coming and I am ready. This is no doubt going to be tough. I saw a video of Neil himself doing a Y3T leg workout and I wanted to vomit just watching it. I can only imagine how he felt. I did quads followed by hamstrings. Rest Pause set of 80 reps with 425 pounds. Five second pauses. rest pause style again. Five second pauses. Note: I rested for 30 seconds and did this again for 25 reps followed by 10 partials. I rested for 30 seconds and did 15 followed by 8 partials. The only rest I took beside what you see there is to transition from station to station. This took me 17 minutes and it felt like three hours. I had to wait an extra 45 minutes to get up the energy and strength to leave the gym. I now have a better appreciation for the first two weeks of the Y3T program. If I would have done more volume then I am certain I could not have made it through this week. This is one of the toughest weeks of training I have ever been through and I have been lifting for 11 years! If you do this program Do not take the first two weeks lightly! You will see why you have them come week 3. Thanks to Neil Hill and Zack Khan for all of their help. To find out more about Neil, you can check him out in every issue of Muscular Development or go to www.gasparinutrition.com. To check out Zack Khan, go to www.nutrex.com or pick up FLEX magazine. If you want to contact me, find me on BodySpace under Rocklockridge.